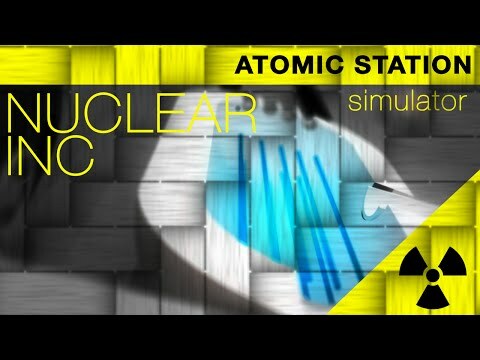 Do you like games like S.T.A.L.K.E.R or maybe you like nuclear energy? If so, you difinetly like this simulator! Dont forget dosimeter! Radiation can kill your team. Differen levels: Fukushima, Chernobyl, Three Mile Island, experimental level. Prevent reactor heating and nuclear explosion! We are all accustomed to power, because through it we are not only light and heat, but also can recharge our mega-cool smartphones and tablets. But not many of us know how difficult it produces electricity, then we will take into account the most dangerous and technological method of generating electricity - nuclear energy. Chernobyl, Fukushima - all scary and dangerous, but so far we have mobile game «Nuclear inc» and we are experimenting. As has become clear, the mobile game «Nuclear inc» is a simulator of a nuclear power plant, where we are one of the most important roles. For a moment we become a scientist who runs the reactor. His task is not easy: it should keep the temperature of the reactor at a certain point, and that energy is produced and no explosion occurred. But it included a third party - government requires the greatest amount of energy in a shorter amount of time. Here fidget, cool, and mandatory to fulfill all requirements! Actually, the gameplay «Nuclear inc» I described above. In addition we will be able to work on such outstanding nuclear power plants, as the Three Mile Island and Chernobyl Fukushima. And as we get to the place of academic leaders, we will be able to buy any equipment, simplifies the process of generating electricity and making it safer. «Nuclear inc» - is rather unusual, but very exciting and demanding game. It is not like any other game and basically none, so interesting.